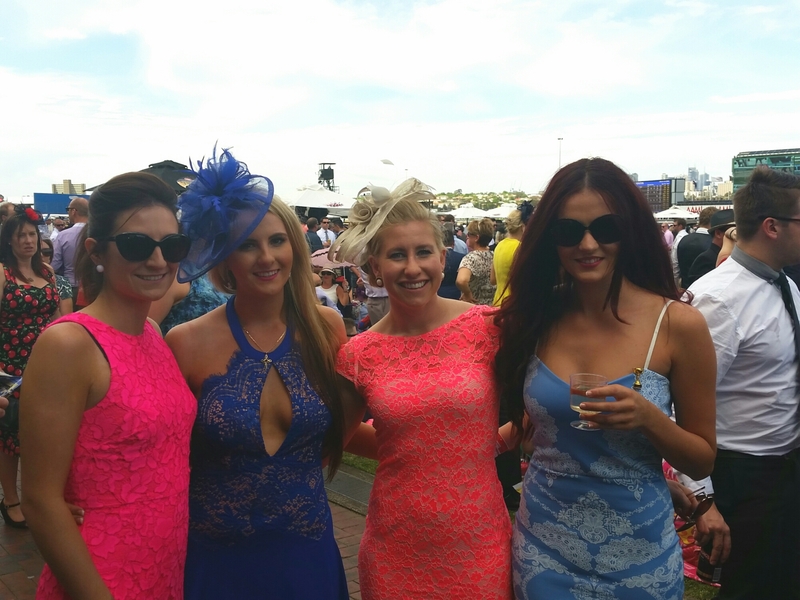 The Melbourne Cup is a huge event here around Australia, especially in Victoria! Whether you are a horse racing fanatic or not, it is a fantastic week! I flew over to Melbourne on Friday night to be there for Derby Day on Saturday. It started as it always has, a champagne breakfast with my girl friends while getting ready! 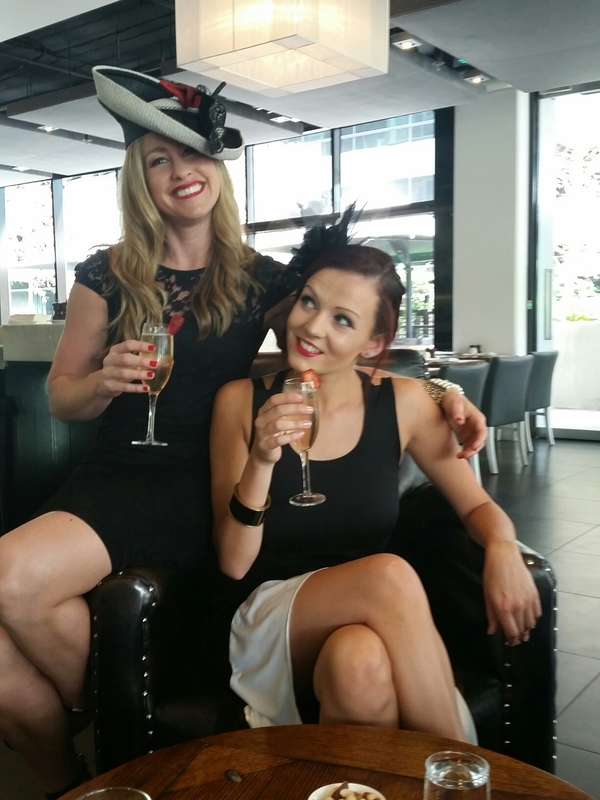 The good thing about Derby Day is that it is traditionally Black and White Day, especially for us ladies. My outfit had been chosen in my rushed packing so it saved me the trouble of trying on twenty dresses before deciding. 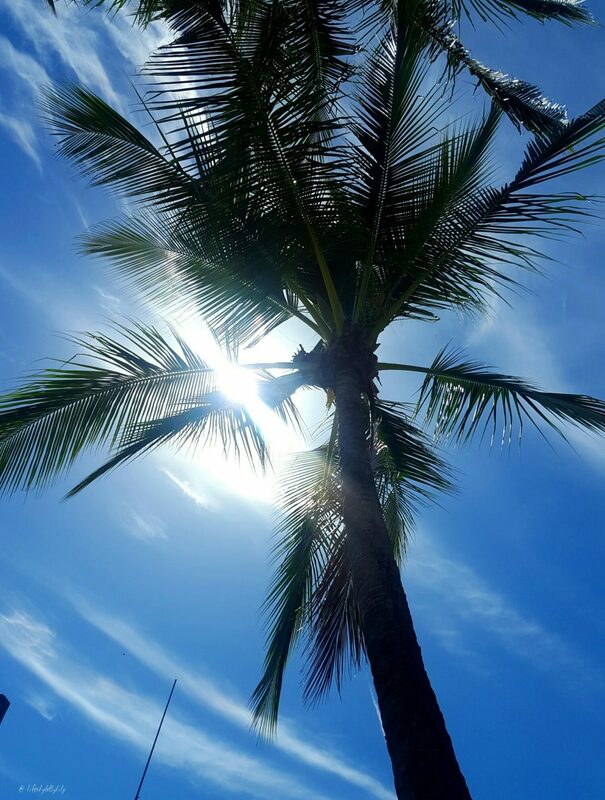 The weather was perfect, it was around 22degrees and didn’t rain all day, it was just right I would say. 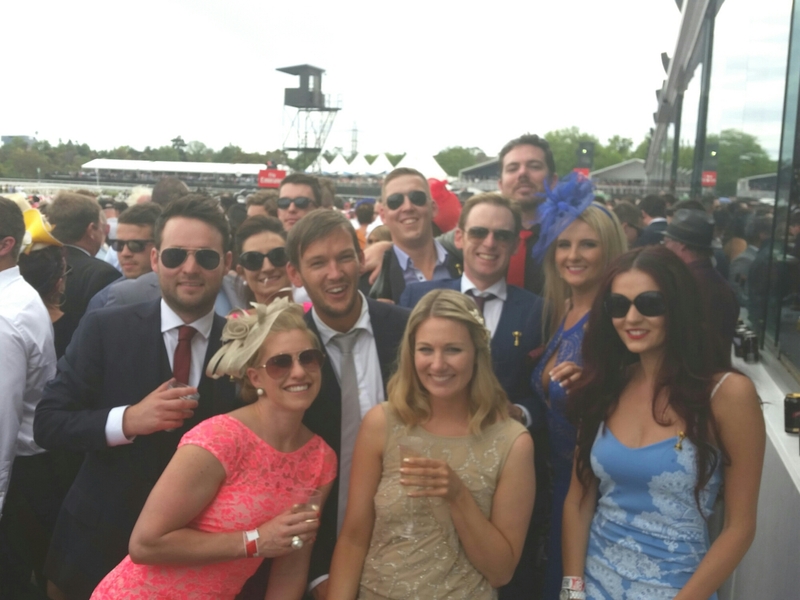 We treated ourselves to a few bottles of champagne throughout the days and a few bets that of course, won us nothing. .It was still good fun though! We didn’t end our day there and carried on our evening in the city, which was buzzing. There was a sea of fascinators in every bar and restaurant I looked into. 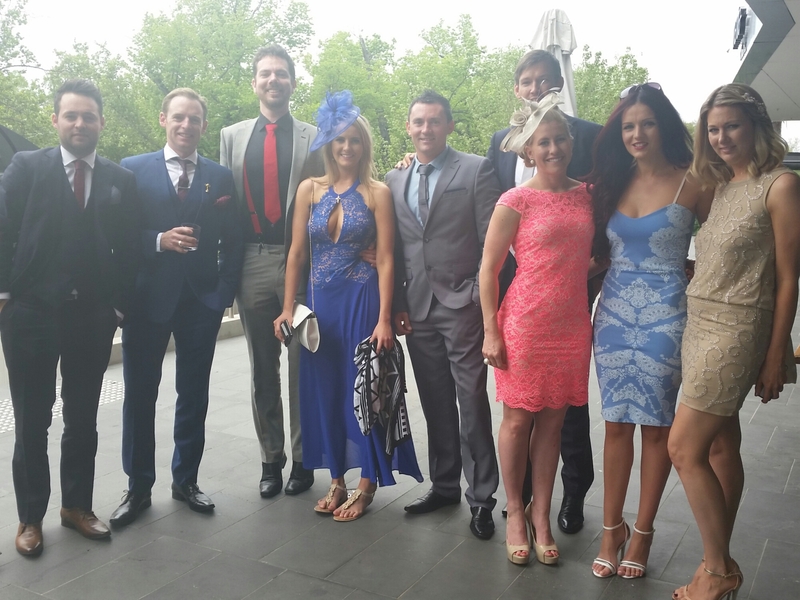 Our 5 days in Melbourne didn’t end there, there were more nights out and dinners before the big day…..Melbourne Cup Day!! I was a lot more organised and prepared. I was up that morning with enough time to have my hair and make up nearly finished before Megan arrived for our second and final Champagne Breakfast. I went with a baby blue dress for the day and decided to be very rebellious and….. I didn’t wear a fascinator! We got the group ready and gathered together for a group drink before jumping in our taxi. You could tell that there were around 100,000 people at the races that day, there were barely any patches of green grass and queues of people for everything. Our group got bigger as the day went on with friends joining us from different parts of Australia. The winnings among the group were a lot better today, however my total winnings stayed the same…nothing! Maybe next year! 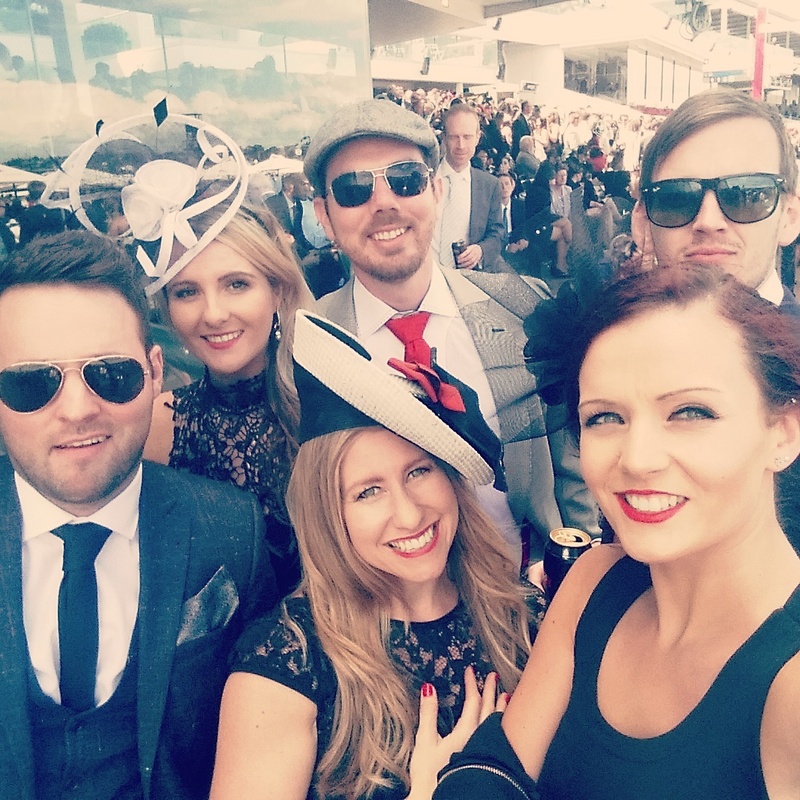 My favourite day of the two had to be Derby Day, it wasn’t as busy, easy to move around and find friends when I got lost and a little more relaxed. Only 335 days until I fly over for next year’s races! !